Paul Williams, a new member to the NYAC Killers' Club, is founder and current President of the Inner City Handball Association (ICHA). 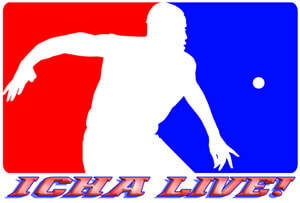 ICHA is a non-profit, volunteer youth organization dedicated to providing inexpensive handball related athletic activities and promoting academic excellence to teens throughout New York City. Born in Bedford Stuyvesant, Brooklyn, Paul knows first-hand the plight of inner-city youths. New York City can be tough on teens who do not have positive activities to occupy their free time. Paul always found handball to be a fun stress reliever as well as a violence deterrent. It is that message he primarily promotes to the teens in the ICHA program. 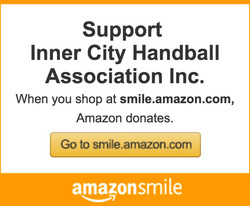 Paul's involvement in handball does not stop with administration in New York City. Paul has also served on the board of the United States Handball Association for the past six years and currently holds the position of Vice-President. In addition, he currently serves as Vice President to the World Handball Council. Paul works hard to promote the sport and his work with ICHA has helped pave the way for the first ever 1997 World One-Wall Handball Championships, to be held in Winnipeg, Canada. From the streets of New York City to world class events, Paul knows no boundaries. He wants handball to make a comeback in a big way and volunteers to support the sport in every way possible. Paul is a National Open Doubles Champion in One-Wall, winning titles in 1994 and 1995. He has also won titles in three and four-wall handball. The friendships and personal contacts he's made over the years, have been an invaluable life experience for him. It is one of many reasons why he works hard at giving teens the opportunity to experience such a great sport. ICHA has survived since 1991 due to the generous support of private citizens. It is Paul's goal, however, to hopefully convince corporate America to support the program. Sounds like a full-time job? To some it is. Remember, Paul does this voluntarily! When he's not promoting the sport, he can be found developing his computer consulting company, GI Integrated Computer Solutions, Inc., Jamaica, Queens, New York.